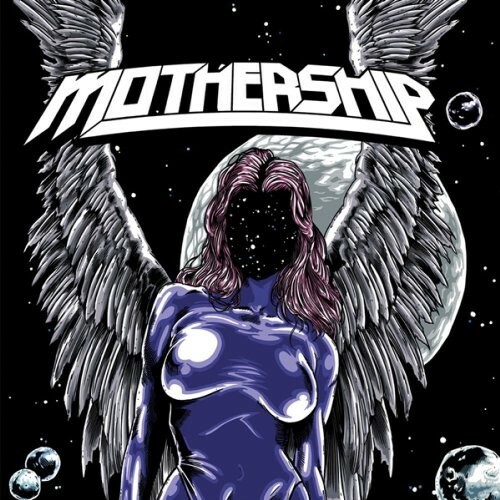 Mothership has the musical honesty and the chops to get themselves noticed. 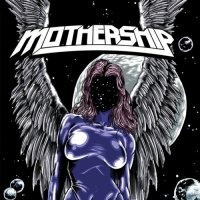 On board this Texan-based Mothership are two brothers, Kyle and Kelly Juett, playing bass and guitar with Judge Smith pounding the skins, completing this trio. Taking influences from their fathers '70s record collection, the brothers began crafting songs fuelled on a raw, 'good-time' vibe. Having originally self-released this album in 2012, Ripple Music has now re-released this debut album and has given the music another lease of life. Opening with little more than a slow drum beat and a few guitar notes (for nearly three minutes!) tests the listener... but hold on and 'Hallucination' suddenly springs to life like a herd of buffalo. This instrumental is a mass of screeching guitars fighting against a chunky rhythm section. 'Cosmic Rain' supplies a tasty blues laden riff, with snorting vocals and droning guitars. The song has a charm and a seduction not too dissimilar to output from Orange Goblin. You can pick up a distinct influence of UFO in 'City Nights'. The guitars are dirty and nasty with a tough groove that never lets up. It's wholesome good time rock 'n' roll, played from the heart. Remember the days when the likes of Ted Nugent or Sammy Hagar let rip on their guitars before kicking into a song? Well, 'Angel Of Death' gives you that, and a whole lot more, without ever sounding outdated. 'Win Or Lose' keeps with the formula of blues-drenched no-frills rock, whilst 'Elenin' throws out the hardest monster-sized riffs it can muster. Not unlike Blue Cheer or early Hawkwind, 'Eagle Soars' is a hypnotic blast of dazzling guitars with a commanding vocal that lays down its intent instantly.